Have you ever asked yourself, what if this hard drive that contains my 80% completed album crashes and dies right now? What are you going to do? Do you have a synced or a mirror image backup of the hard drive somewhere? I hope so. 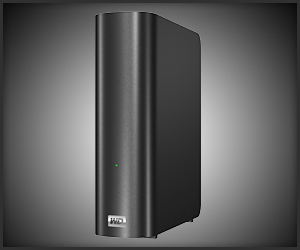 A lot of people recommend music artists and their recording studio engineers to use a separate external hard drive for recording, saving and storing your work. 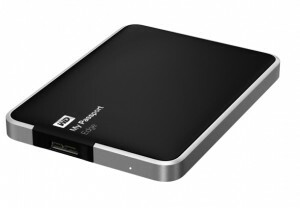 Hard drives are becoming more affordable, reliable and faster with a larger storage capacity. After five years of reading and writing to your hard drive I would be cautious and recommend picking up a new one and keep the old hard drive for backup or emergency use only. If you have a laptop and want to continue being as mobile as possible I recommend getting a ssd usb hard drive that is powered by usb. You can start off by creating and naming your main folder “My Projects” and inside there you may want to create a new folder and organize by date, songs or albums. 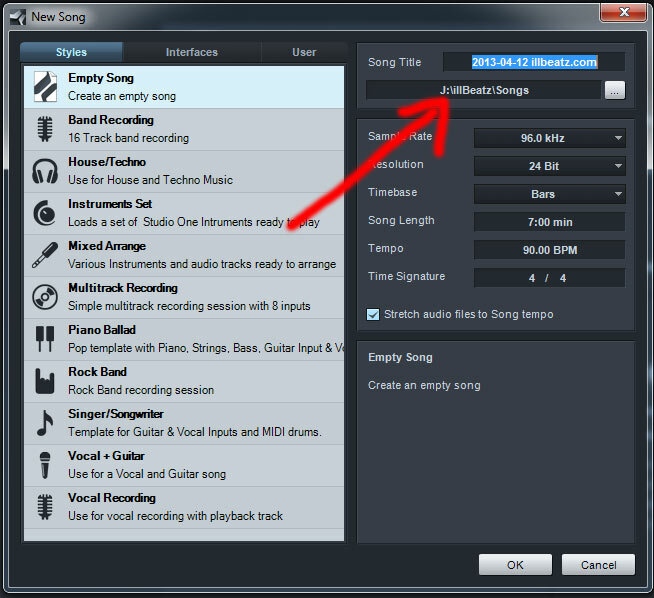 Let’s say you created a folder named “Songs” in that folder it can be very helpful to have three new folders labeled “Completed Sessions” “Completed Songs” and “Sessions”. With this type of folder structure you can separate ongoing work from completed work. Here is a folder Structure example screenshot I made. Before starting a new album project or a single song project, it is always a good idea to know where you want to save the recorded files. I recommend you save to your external hard drive and if you don’t have one no worries you can always save to your Desktop or any other location that is comfortable for you. Most music recording software programs offer you the choice of where to store recorded audio and project files. I suggest setting this recording path information first before recording anything. Here is an example of music folder selection. This is one of the biggest areas where people become disorganized and struggle to recall a recorded vocal or sound clip. 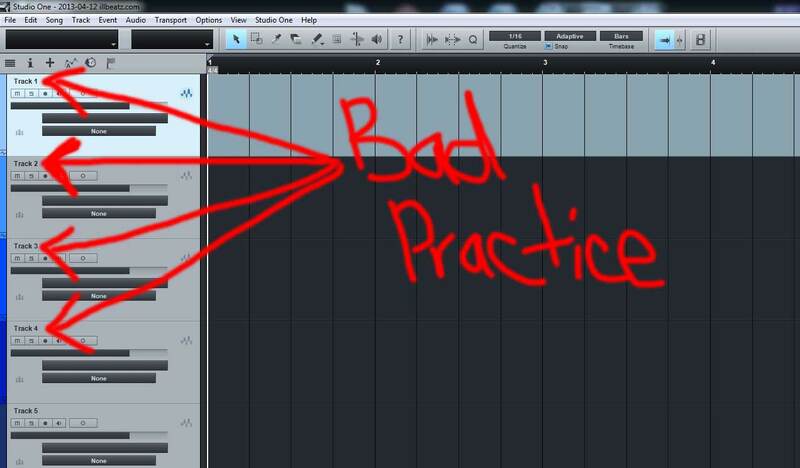 Here is a screenshot of a recording session with poor track and file naming practice. This method of naming tracks is not a good idea, especially if you have more vocalists or musicians coming in to contribute to this project. If you use generic track names like Audio 1 or Track 1, when you start recording your file name will look like this Audio_01 or Track_01. Now how helpful is that if you want to find that sweet acoustic guitar take from last night. 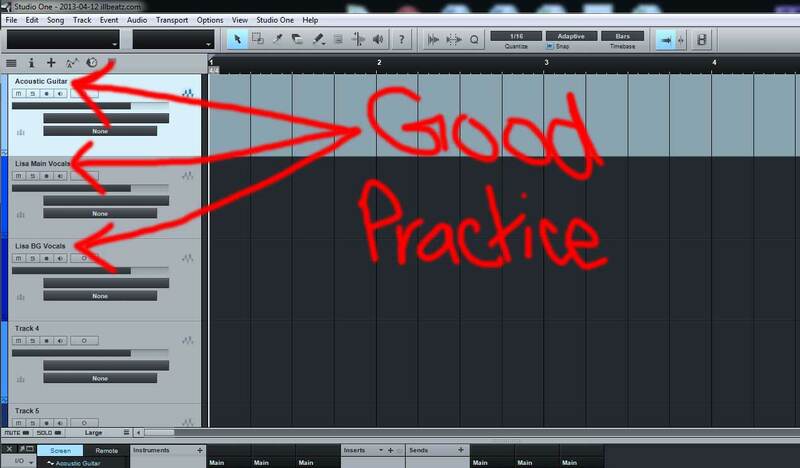 Now here is a screenshot of a recording session with good track and file naming practice. Now this method is much more useful and organized. If I want to preview or browse through all the takes of the acoustic guitar I can now do so effortlessly thanks to good file naming. It is even better practice to come up with your own short track naming layout. Be creative and most importantly do what works best for you. If you ask me, I say you should save all the time and as often as you can. Learn the hot keys for saving in your DAW because you can always undo, but you can’t always redo. A really good idea that could save a lot head smashing is to go in to you DAW’s settings and preferences and find the autosave section and set it to save every 5 minutes. It’s a great habit of always saving your projects with the “save as” option. If you can afford it, buy an additional hard drive just for back up purposes and only connect it to the computer when transferring newer files. When the files transfer is completed disconnect the backup drive. Another way of backing up your session locally and a very common way is to burn the session as a data disc to your blank dvd disc. It’s cheap and very effective, but can end up in the wrong hands if too many copies are made. Put a security password on the disc. Flash drives or thumb drives are great for on the go quick file swaps, but don’t really hold to much info and can get lost easily. Also look into personal cloud drives. I will go into more detail under the remote backup area. Backing up your projects remotely is becoming more and more common every day. I use a great cloud storage service called DropBox.com. There is a free version that gives you 2gb of remote storage for free and you can access your files locally on your computer or mobile devices. As of less than two weeks ago YahooMail has merged with DropBox so that might be of interest to you. 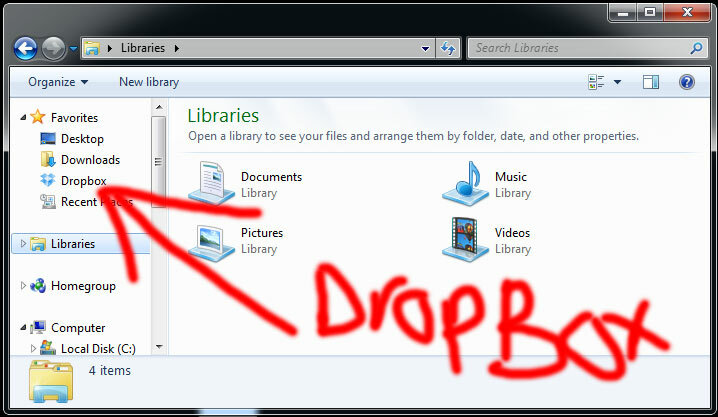 It’s so simple, all you have to do is drop the files that are important to you in the DropBox folder and that’s it. It starts uploading your important file to the remote server cloud. If you are a little more tech savvy, maybe getting your own personal cloud storage like WesternDigital’s “My Book Live” is the answer for you. I really enjoy this option because I have full control over my digital content. You can access the files through your computer file folders just like a hard drive or via internet browser and mobile apps. There is one other option I wanted to make note of and that is if you have a smart router like Linksys’s n900 or AC1750 you can plug in any usb device and it can now be accessed as a remote storage. It’s a great feature to use if you already have this kind of a router. Same for the router, you can access the files through your computer file folder just like a hard drive or via internet browser and mobile apps. Thanks taking the time to read this post, I hope it was helpful.